Soak the channa dal for an hour.Grind this soaked dal with aniseed and red chillies to a thick paste and keep it aside. Wash and chop the vegetables and onion. In a bowl, mix all the chopped vegetables with the grinded paste and salt. Make small balls out of this batter and steam cook them. Allow these steam cooked balls to cool and split them gently. Heat oil in a pan, add mustard and urad dhal. Add the curry leaves and chopped onions ,saute it well. Finally add the steamed vegetables and saute for 5 mins. simple but yummy veggie stir fry. love them. 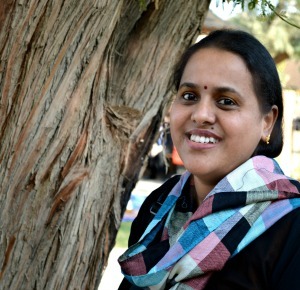 That is a nice dhal fry Aruna. 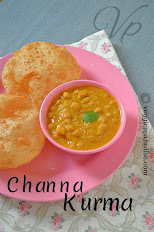 Simple to cook up yet delicious to pair with rotis. Very nice dal fry..healthy,looks too good. vegetable dal fry looks really yumm. 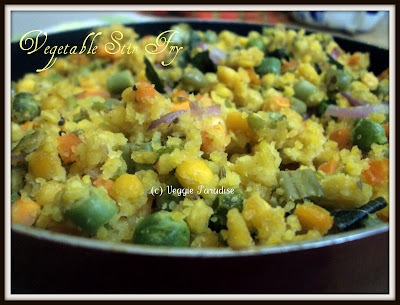 Vegetable dal fry looks very colorful and delicious. Vegetable dal fry looks so simple and delicious! 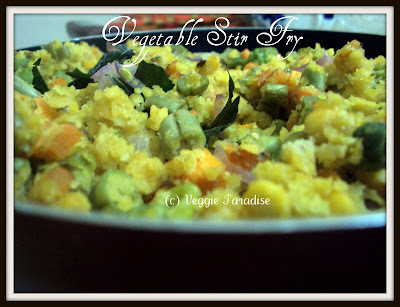 parappu usli with mixed veges sounds good..
Looks yumm..would go grt with hot rotis! Thats a really yummy and healthy vegetable dal fry.. Simple and delicious dish! Looks great!